Spinzilla has come and gone, and we're pleased to report that this year's event raised over $13,000 to benefit the Needle Arts Mentoring Program (NAMP), which fosters the spinners of tomorrow through education and outreach efforts! Team Woolery spun an impressive 121,710.260 yards collectively, which put us in the #6 position of the top ten teams! We'd also like to congratulate Tracy Hammond of Team Woolery, who spun the most yardage of any Spinzilla Spinner with a whopping 30,830.76 yards - what a superstar! We couldn't be more proud of everyone who spun with us for this year's event; thanks for being a part of Team Woolery! You can view more Spinzilla results for 2014 here. Of course, now the question remains: what do I make with all of the yarn I just spun!? To answer that question, we've selected a few great patterns to knit, crochet or weave, and we've also included additional resources to help you find the perfect project for your handspun yarns! 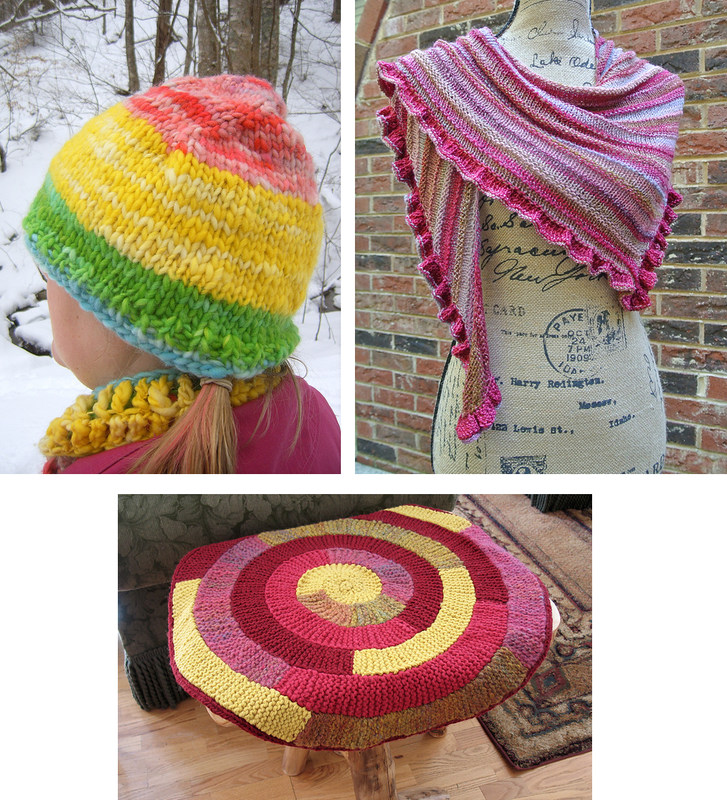 Top Left: Happy Handspun Hat by Tara Swiger; written for 7 WPI handspun yarn. Available here on Ravelry. 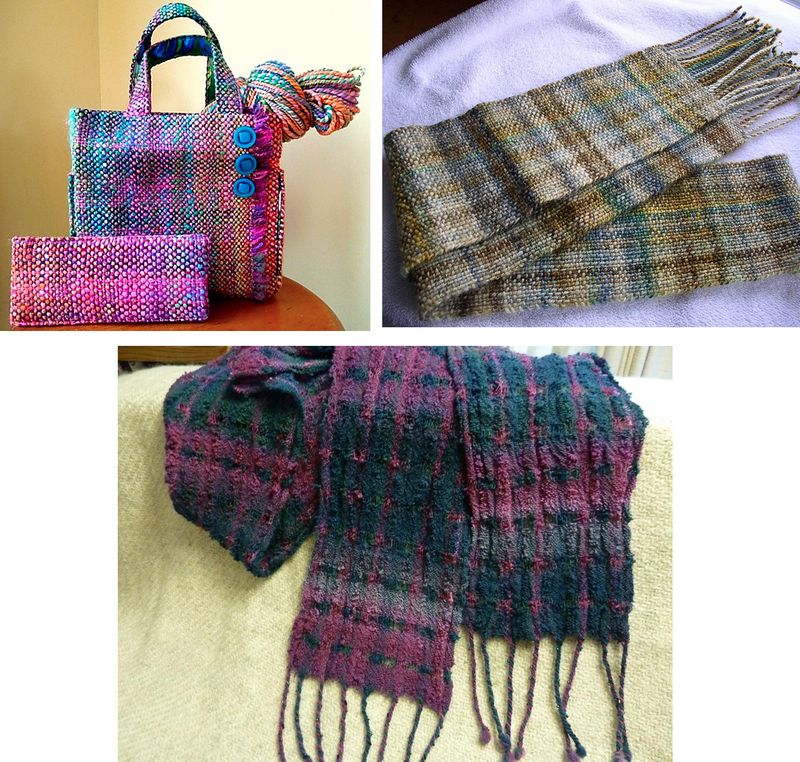 Top Right: Quaker Yarn Stretcher Boomerang by Susan Ashcroft; written for 9 WPI handspun yarn. Available here on Ravelry. Bottom: Handspun Spiral Rug by Donna Druchunas; written for 8 WPI handspun yarn. Available here on Ravelry. Top Left: Easy Handspun Shawl by Joanna Stephens; written for 9 WPI yarn. Available here on Ravelry. 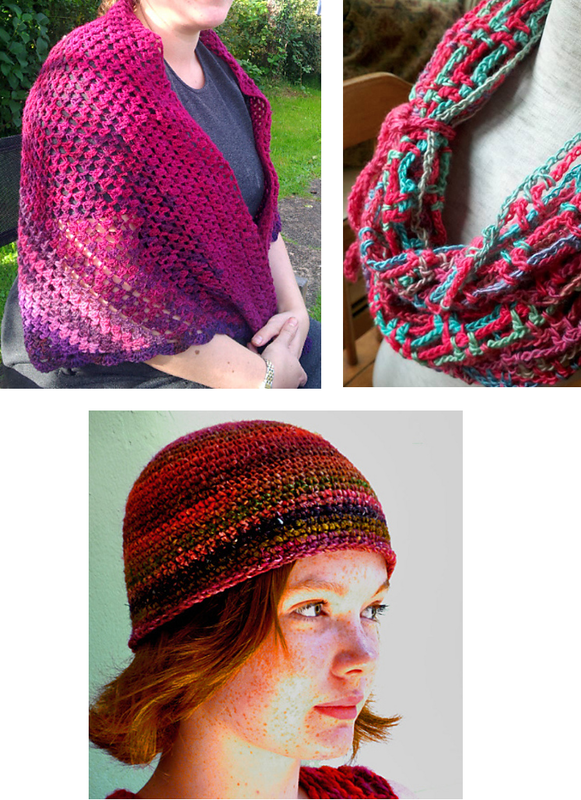 Top Right: Artfully Simple Infinity Scarf by Tamara Kelly; written for 9 WPI yarn. Available here on Ravelry. Bottom: Simple Beanie/Cloche by Mirtooli Golino; written for 9 WPI yarn. Available here on Ravelry. Top Left: FatCatKnits' Nerds Li'l Lizzy Tote Bag on Ravelry. Top Right: Chinders' Mallard Scarf on Ravelry. Bottom: SerialSpinner's Collapse Weave Handspun Scarf on Craftsy.